Made sure that I didn’t skip anything this morning. Ok, so I was feeling proud of my 15 ring muscle-ups this morning that included several multiples but now I’m 2nd thinking that feeling considering that Breck did 70 total muscle-ups. Wow!!!! Great job Breck!!!! No joke. Awesome job Breck!!!! Did 10 banded PUs, then 10 ring rows until 15 min cap. Jordan is a true work horse and horsepower creating machine! Love every ones training numbers. Great work so far today at Cf Jenks!!!! 30 Ring MUs = 5:49 – did all of them in singles wanting to test this method. half (15) no false grip. Felt wild and crazy today and put on the Elevation Training Mask for the WOD. Worked on bar muscle ups. Prob did about 20 ctb to my top rib. Got two banded muscle ups. Yay go Dominic on your first mu!!!! – 30 Bar MU for time. Ripped at 17. @Confused, quick question. Do I get to post RX+ since I did all of the prescribed pre WOD work plus some accessory work before I came in today? Thanks to Nicole, Shan & Jen for the help with Butterfly. Think I’m getting it. Thank you Georgie and everyone at 4:30 today! 15 ring muscle ups in ~7 minutes. 6 or 7(can’t remember) strict ring muscle ups in remaining time. WOD Rxd. Started with running. Thanks again for the push, Shannon! You’re awesome. Then MU work with Stephanie. 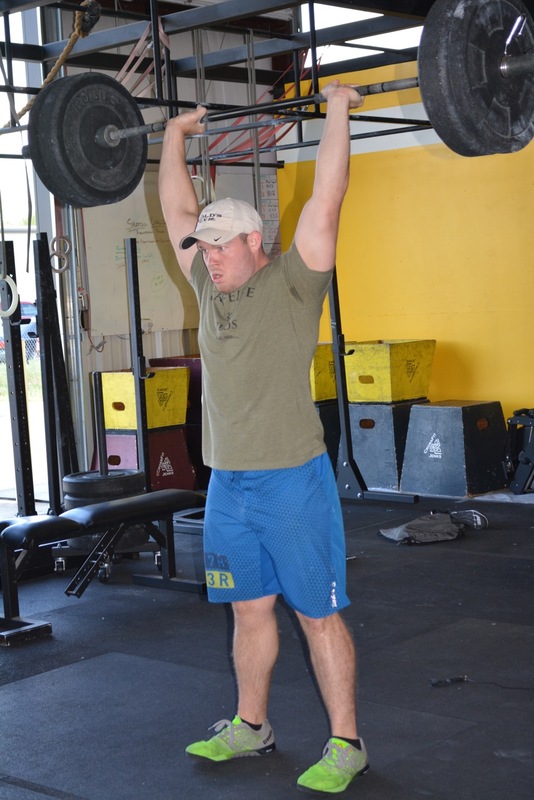 Hands still hurt from the Hang Clean workout…not much pull. Great Job Steph on those 5 MU!!! They looked great! B you were awesome! Excited for Dominic getting his first 3-4 MU!! Yes! Back squat with Callan. Cheered for Samantha on her pull-up! Way to go. A few butterflies for Toby! You’re looking good! In awe of Jennifer and the ease in which she does MU and strict MU. So glad you came to the 5:30, Shannon! Almost forgot my starter WOD: As slowly as possible, fall off of the GHD machine.